We offer several different grooming packages but are happy to customise our grooming services to best suit your needs. Your pet will be booked in at a time that suits all of us. We usually aim to complete the grooming session within two to three hours, depending on coat condition, size of the dog etc. 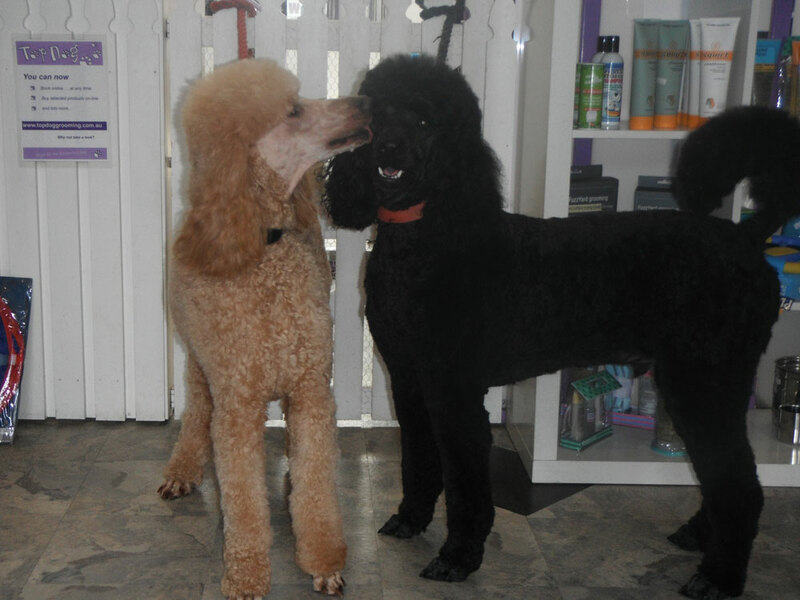 We arrange to either ring you when we have finished grooming your dog, or agree on a time for you to come back. We endeavor to be as flexible as possible in regard to both drop off and pick up times. We understand our customers have work, school, family and other commitments. We can usually arrange drop off and pick up times to suit your schedule. We do appreciate you delivering your dog to us at the time we have agreed on, or as near as possible to it. It’s not usually a problem if your dog arrives early, or is collected late, but arriving late does cause problems and may result in us not having enough time to groom your dog. Likewise, if you call early to collect your dog, it may not be ready. 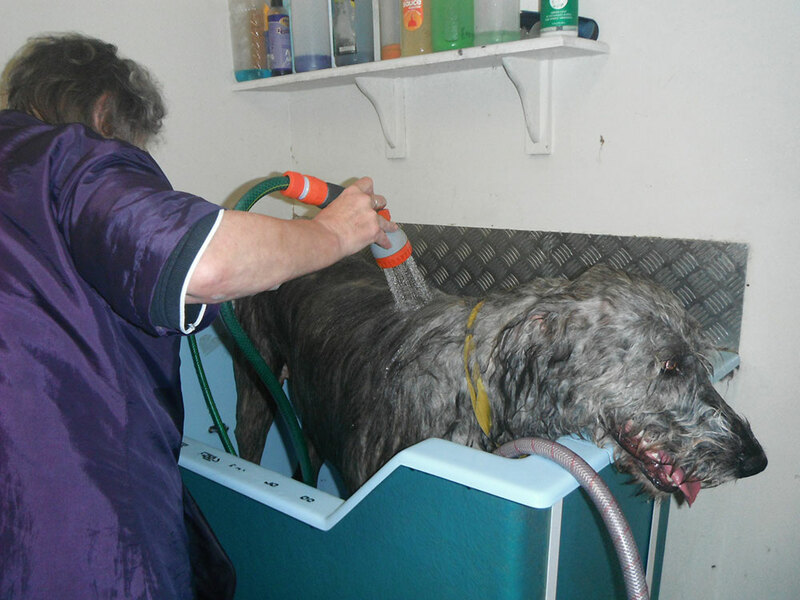 We have now introduced a QUICK BATH AND DRY SERVICE. This includes all the above features except the nail clip. We also do not guarantee the coat is totally dry, and is more suited to very short haired dogs, but the cost is reduced, so ask about this one too! Please note: this package does NOT include a full body trim. 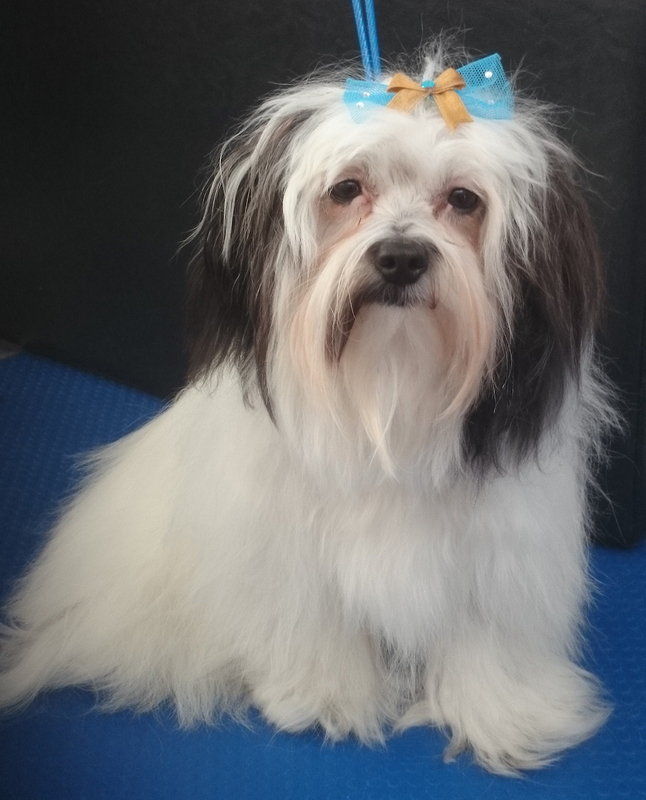 Our groomers work to a very high standard and are judged continually by our clients. We have a good knowledge of most breed clips, or styles, and pride ourselves with being able to be flexible enough to suit every owner. Every dog, just like their owner is an individual. Therefore, you may for example tell us you would like your westie to simply look like a westie. We can certainly achieve this for you, (although sometimes it can take a couple of visits to do this depending on the length of the coat on the original visit. If the coat is to short where it needs to be longer, obviously we all need to wait for it to grow to achieve the desired look.) But, you may ask us to trim your westie to the same length all over, or you may prefer him/her to be shorter on the body with a typical westie shaped face and maybe tail as well. The choices are endless and totally up to you, although we can help guide you if you require that. The only thing we won’t do is clip your dog so that it looks silly, give it a mo-hawk for example. Sounds harmless, but if this is done, people tend to laugh at the dog when they see it and the dog can get quite upset about that, particularly when it happens repeatedly. Even dogs don’t like to be laughed at, and we don’t encourage their unhappiness. This is intended for dogs whose owners want to keep their friends in full coat. We can’t always achieve this, immediately; it depends on the condition of the coat. We can and do brush out quite a lot of knots, but as always, we put the dog’s well being first. If we consider it will take to long for the dog to cope with or be too painful to brush the coat out we will advise you instead to clip the coat to start with and with more regular grooming at home and/or with us we can work on eventually achieving the desired look. The cost is usually the same as for ‘a full body clip’ as it is a time consuming service, but it keeps your dog’s coat comfortable, in good condition and looking stylish. We prefer to book cats in for early morning or afternoon appointments because the shop tends to be a bit quieter in those times which helps to make the experience a little less stressful for the cat. There are various services available for cats as well, from a full body clip to a partial clip or clipping a few knots and/or good de-shedding. 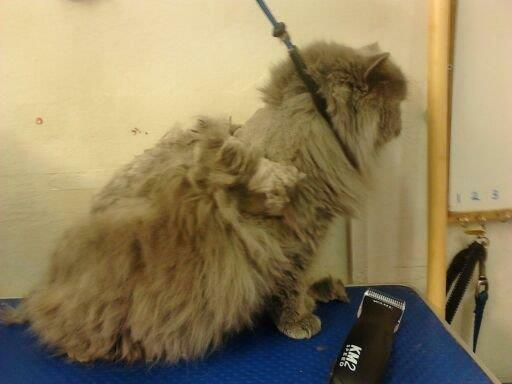 We can also clip their nails as part of a grooming session, or without the grooming if you prefer that. Please ring to discuss your needs with a staff member, and/or to book your cat in. We offer a pick up and delivery service to most areas around Hobart. There is a fee, which varies a little depending on the distance we need to travel. We usually aim to pick up the dogs early morning and deliver back home in the afternoon. Nail Clipping – $15 – No need to book! When your dog walks on a hard surface and you can hear its nails scratching, this might indicate the nails are ready to be clipped. 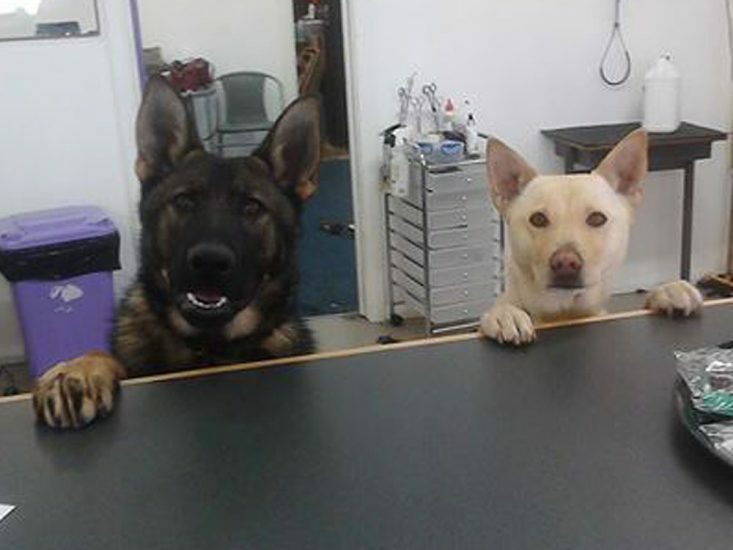 If you are unsure, bring your dog in and we will quickly have a look and tell you wether or not they need a clip.